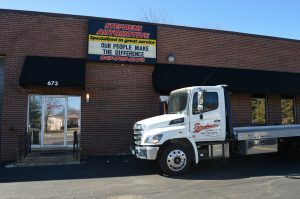 Stephens Automotive is a full-service automotive shop that offers excellent brake repair services. Does your car need new brakes? Come to Stephens Automotive we supply the best brake job service in Illinois. Our 5 ASE Certified Technicians are equipped to perform a brake repair efficiently at competitive prices. We have over 2,000 satisfied customers who all will recommend Stephens Automotive to replace their car brakes. Brake job rip-offs happen far more often than you think. Come to a place that is reliable and trustworthy. Stephens Automotive has high-quality brake pads available for our clients in Arlington Heights. Stephens Automotive will provide our Arlington Heights customers with quality brake repair services. Arlington Heights is a village in Cook County, Illinois. It’s a suburb of Chicago and lies about 25 miles northwest of the city’s downtown with a population of approximately 75,101. Stephens Automotive only uses top-notch brakes for your brake job. Our technicians have many years of experience and are incredibly knowledgeable about car brakes. If you need your brake pads replaced, we are the number one choice for brake repair services. Brakes are one of the most essential things for your car, and we want to help make sure your car brakes are correctly installed. Stephens Automotive only hires the best technicians. Our expert technicians have the skills to complete your brake repair fast and efficiently. You can be confident that we have adequately installed your brake pads. Stephen Automotive guarantees all our work. You don’t have to look any further for the best brake repair services in Arlington Heights. Call Stephens Automotive at (847) 705-8770 to schedule your brake repair appointment today!